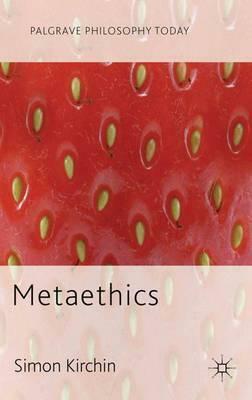 Metaethics is an engaging and argumentative textbook introducing advanced students to the cutting edge of the debate in one of the most exciting areas of contemporary philosophy. Kirchin covers key topics, including varieties of moral realism, error theory, noncognitivism, and a brand new position; metaethical pluralism. Illustrations note XI, 228 p.
SIMON KIRCHIN is Senior Lecturer in Philosophy at the University of Kent, UK. He writes mainly on metaethics. As well as authoring a number of articles, he is the editor of Arguing about Metaethics (with Andrew Fisher), and A World without Values (with Richard Joyce).